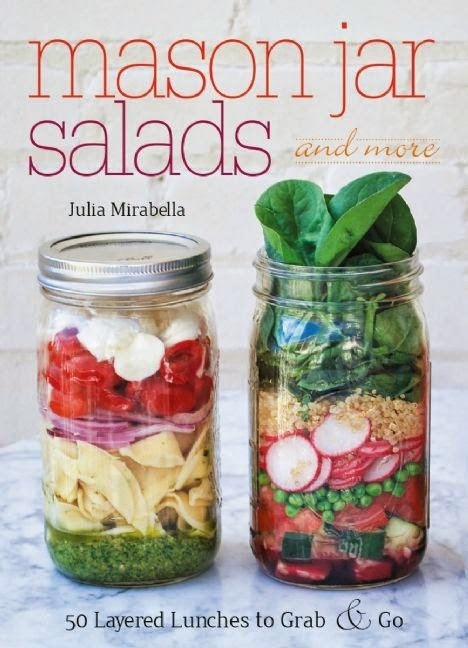 This cookbook begins with the author introducing the idea of Mason jar meals and the benefits to preparing your meals in these iconic jars. These benefits include portion control, saving time and money, easy cleanup, and, most importantly, the safety that glass provides such as being easily sterilized in the dishwasher and not transferring toxins into your food. The top of the Mason jar also provides an airtight seal to prevent spillage. The author also demonstrates how to assemble the salads in the jars beginning with the dressing, adding ingredients that won't soak up the dressing, and finishing with salad greens. Mason Jar Salads and More opened my mind to the beauty and possibility of serving food in jars. I have several cases of Mason jars that I have only recently started using in my every day prepping and cooking. They're perfect for mixing up dressing and sauces. This cookbook will inspire anyone to pull out those jars and start layering tomorrow's breakfast, lunch, or snacks. The full-color photos are a feast for the eyes. See my favorite salad from the book, the Southwestern Salad, in the photo below. I want to eat it right now. Colorful with lots of protein and antioxidants, this hearty salad will keep you satisfied until dinnertime. You can step it up a notch with a little hot sauce in your salad dressing if you want to make things interesting. Whisk together the lime juice, cilantro, salt, pepper, and hot sauce (if using). Slowly add the olive oil, whisking, until the dressing thickens. 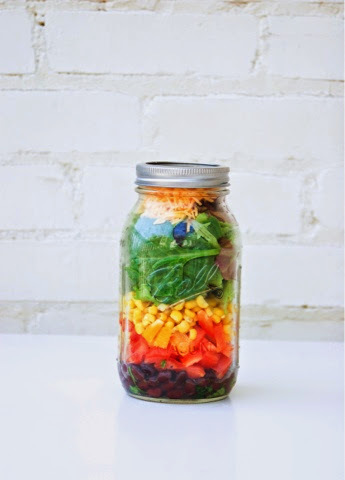 i always see these beautifully layered mason jar salads on pinterest and have always wondered about trying them! that southwest salad looks awesome!!! i have a bunch of mason jars collecting dust in my pantry, will have to try some out!